Posted on July 21, 2018 by Andy Higgs in Home. Who doesn’t dream about seeing the world? Not many of us, that’s for sure. Yet turning dreams into reality is not always easy, and just the idea of planning a world trip can seem exhausting. And then there’s the time, expense and all the other boring things that get in the way. But there are far more straightforward options that doing it all yourself, and you may be surprised at the excellent value on offer, too. To most people the term “round the world” brings to mind a set of flights sold as a single package by a travel agent. Accommodation and activities all need to be arranged by the traveller, so there is still a lot of work left to be done before you can start packing. But there is a far easier option – why not relax on an around the world cruise with everything pre-arranged? This is the ultimate long vacation at sea, with luxury accommodation and superb food and drink as well as an exciting itinerary featuring a long list of exciting destinations along the way. Sail away from the winter weather for warmer climes, spending several months circumnavigating the world. Most world cruises last more than 3 months, although shorter options are available. This will include plenty of days spent ashore, visiting amazing new places. Of course you will also have many days at sea, particularly if you are travelling across the vast Pacific Ocean. Make sure you know how many days will be spent on the water in transit so that you know what to expect. Most cruise lines offer plenty to do while at sea, but you can also catch up on reading, burn off those exotic treats at the gym or have a spa treatment. If you have never been on a cruise before don’t start with a four-month long epic journey. 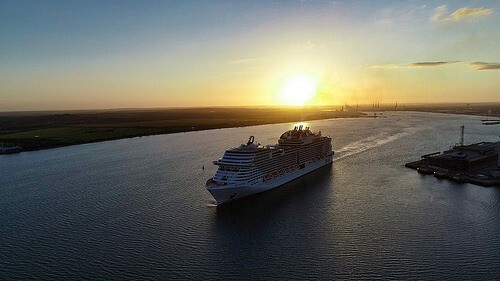 It is important to know what to expect and what style of cruise is right for you before you commit to such a long trip. We suggest booking a regular holiday cruise lasting a week or two to see how you like it. Okay, you have decided that a world cruise is for you and your tickets are booked. Now it is time to pack – and this is not so easy given the length of the trip and the different weather you will be experiencing. You will also need to be prepared for formal, semi-formal and smart casual evenings. If you find it hard to travel light at the best of times this may prove extra tricky. You could consider sending some clothes on to be collected on the way, but a better option is to restock along the way. Since you’re going to be at sea for several months you should splurge on the biggest and best cabin you can afford. If you can’t run to a suite at least try to book a cabin with a balcony and make sure you think about its location. Lower rooms in the centre of the ship are the most stable; if you have a cabins at the rear of the ship you will feel the swell more during rougher seas but are often compensated with a bigger balcony and a great view. Round the world cruises can be great value, when you look at the per-day costs and take into account that meals and accommodation are included. There are so many options available that you are sure to find something to your liking.